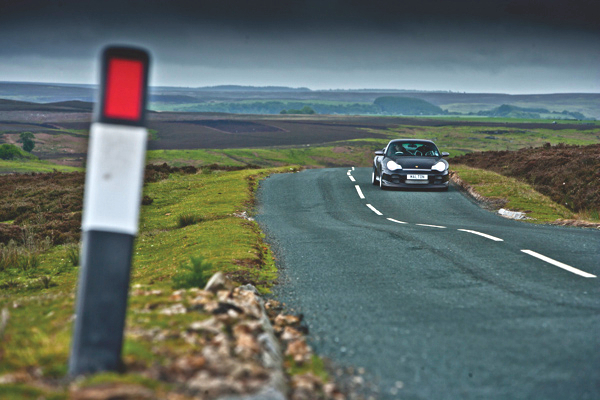 This Great Road was initially published in issue 85 of Total 911. It’s often the case that a good driving road will not be a busy trunk road. While there are some busy A roads that are corkers – particularly in the south east, like the A272 – to experience something a little different means turning off the beaten track. Rather than leave one destination for another, it can be better to merely amble around, taking time to explore. One such area for that, I’d suggest, is the minor roads around Goathland and the North Yorkshire Moors. Goathland is a small village, a few miles west off the main route between Pickering and the seaside town of Whitby. Though you may not have been to Goathland and the Moors yet, you’ll definitely have seen it, as it’s been used as the filming location for many a Sunday evening drama – Heartbeat, in particular. This makes it a bit of a mecca for coach tours, too, so be aware in the summer months. We suggest turning off the A169 after the Hole of Horcum towards Goathland, and simply taking time to tour around. The roads don’t have names, or numbers and offer not only breathtaking views and seclusion, but also give you a glimpse of what travelling may have been like in the Sixties or Seventies. Less traffic density, no fast food outlets nor built-up areas, just long, open roads, big, open skies and the occasional picture postcard village. The surfaces won’t be uniform, so expect to see rough tarmac, lots of altitude changes and the odd bumpy patch. You’ll not want to press on too hard, though, so that you can take in the view and scenery. There’s a few good straights that allow for enthusiasm, but very quickly the surface quality will temper your bravery, we’ll wager. The North Yorkshire Moors Railway weaves through the area, offering the perfect distraction to take a break and see a working steam engine heave through the landscape. To make more of a route, from Goathland, head north towards Egton Bridge and then turn south through to Rosedale Abbey. From there, head northwest to pick up the road south again to Hutton-le-Hole, which is a faster road, but still lumpy in places to catch out the unwary. This whole area is definitely worthy of attention for driving simply as a pastime in itself. 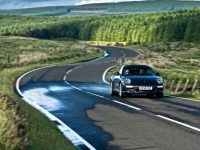 We’ve been through this area in all sort of cars in the past, from everyday diesel saloons right up to 911s. Regardless, it always delights. There’s an almost exotic feel to driving along roads lined with marker posts and rolling through quaint villages and rural farm communities, particularly after the trudge of busy motorways. Not only are the roads very nearly the exact ‘open road’ we crave, but best of all, the villages have plenty of ancient country inns, for that mythical hearty pub lunch. Great roads, great scenery – and great food. So when are you going?